NEW YORK--(BUSINESS WIRE)--Be our guest — and put our service to the test! MCR, the sixth-largest hotel owner-operator in the United States, has acquired the 224-room Hilton Garden Inn Orlando. 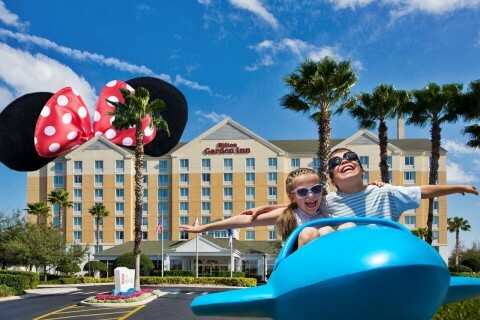 Minutes from Disney’s Magic Kingdom, Epcot, Universal Studios and other attractions, the Hilton Garden Inn Orlando is the perfect respite from the most stressful vacation you’ll ever love. Fuel up for the Tea Cups. A turkey leg, a Mickey ears ice cream and an Advil is not the optimal way to start the day before racing to the Mad Tea Party ride. Enjoy a healthy cooked-to-order breakfast for four — and lots of coffee — at the Hilton Garden Inn Orlando with the Bed N’ Breakfast Offer. Party of two? Kids under 6 always eat breakfast for free with a paying adult at the Garden Grille. Cut the lines. Breeze by the whiners in the hourlong line for the Manta flying roller coaster. When you stay at the Hilton Garden Inn Orlando, you receive a complimentary pass to the front of the lines at SeaWorld, plus a free behind-the-scenes tour of the park’s rescue and rehabilitation facilities. Brace for Tomorrowland. At the Hilton Garden Inn Orlando, Sting Ray’s Lounge offers cocktail specials from 5 pm to 11 pm. 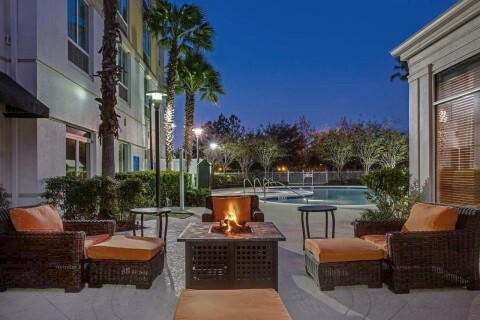 Take the drink and dry your Splash Mountain-doused clothes by our fire pit. Let it go. When your child’s having a meltdown and you’re frozen in fear, head back to our hotel, where you can relax in the whirlpool. Reserve rooms by phone at (407) 354-1500 or online at hilton.com.